Buddy Club Racing Spec Aero Kits are constructed out of top grade fiberglass that is designed to withstand the rigors of circuit racing. Each component features a beautiful finish that perfectly fits and is ready to be painted. These are the same exact Aero Kits that we use on our very own race cars that are currently racing around the globe today! 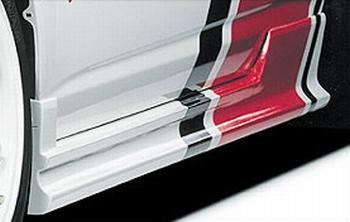 Buddy Club Side Skirts are sold as sets of two.